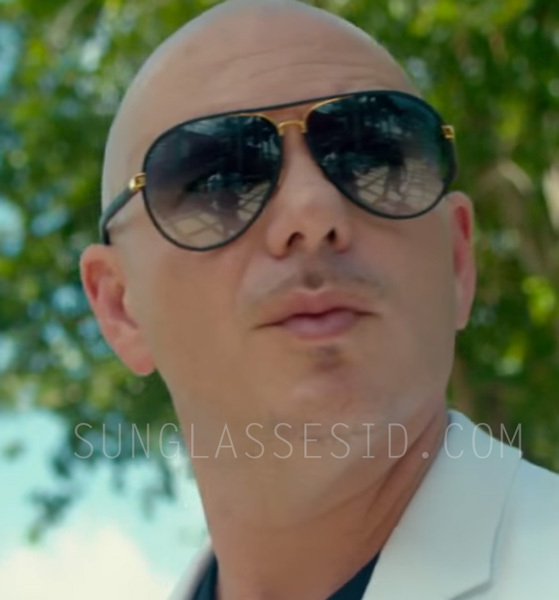 Pitbull wears two pairs of Gucci 2887 Aviator sunglasses in the music video Fun (ft. Chris Brown). 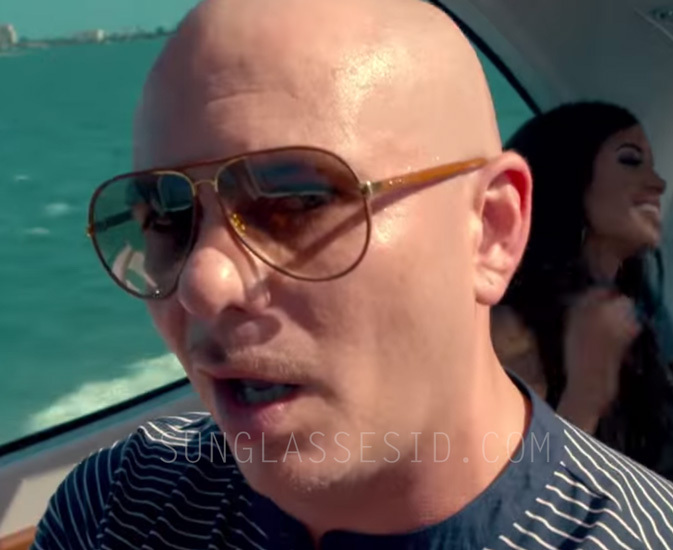 Standing next to the wears the Gucci 2887 sunglasses with black leather wrap and later on the powerboat we can see Pitbull wearing the same model but with Tan (light brown) leather wrap. The music video is inspired by the Miami Vice tv series, we can see Pitbull with a black Ferrari Daytona convertible and Chris Brown with a white Ferrari Testarossa, both cars were driven by the main characters Sonny Crockett and Ricardo Tubbs in Miami Vice. In the same music video, Chris Brown wears Ray-Ban RB3447 JM and Dior Technologic sunglasses. 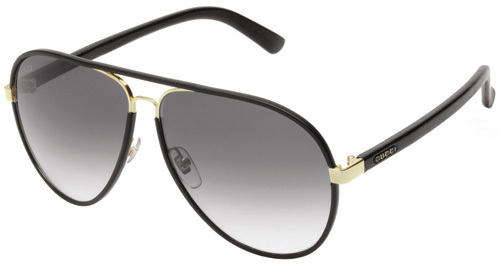 Boxer Floyd Mayweather was also spotted with the gold and black Gucci 2887 sunglasses. Get these stylish frames on Amazon.com or eBay, or on FramesDirect.